Papua New Guinea”, funded by the European Union. loss of our wildlife species. participation in protecting our forests. play as stewards of our natural heritage,” he said. 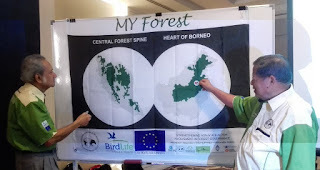 natural heritage and proclaim: MY forest, MY wildlife, MY responsibility,” he said.